In a large soup pot, sauté the onions and garlic in the olive oil; add the juice from the clams along with all remaining ingredients except for the clams. 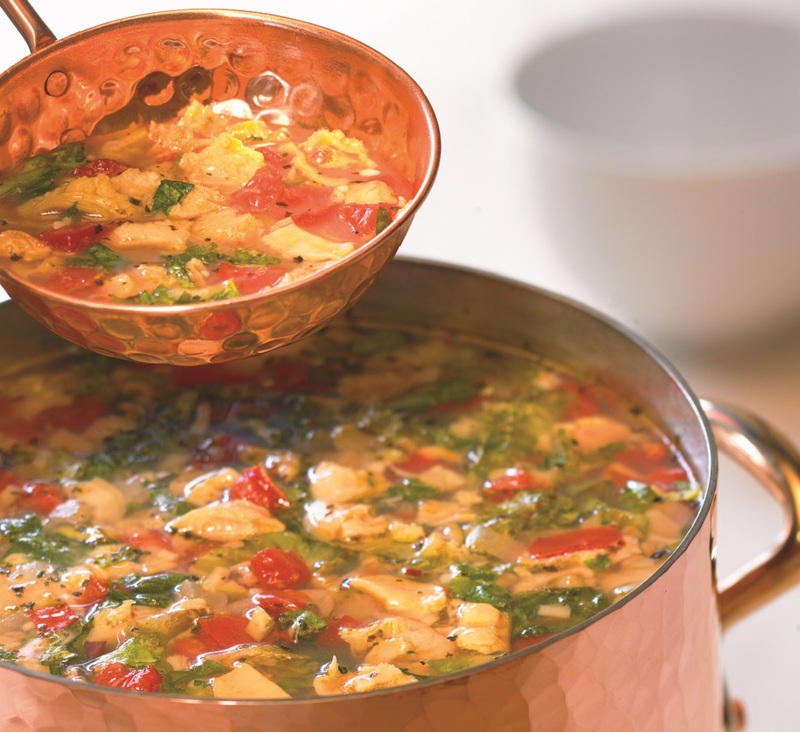 Bring the soup to a simmer and cook for 20 minutes. Add clams and cook for another 20 minutes. Serve with hard crusty bread.